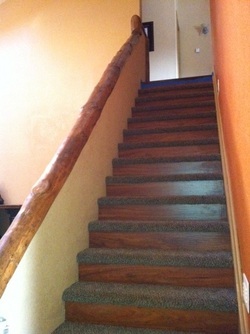 Stairs were existing without a handrail. 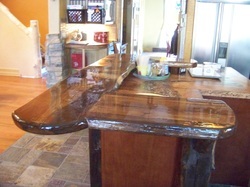 Stained to match existing aged finishes. 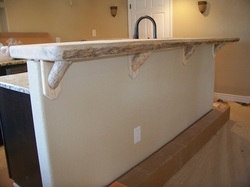 'L' Shaped with Branch Corbels is 2-1/4" thick and 17" wide with live (natural) edges. 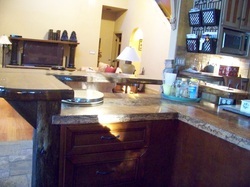 Same one showing corbels supporting outer edge of top. 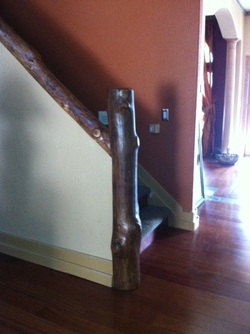 Shown prior to staining and finishing which was done by others. 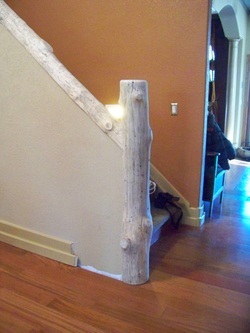 Stained to match the rest of the trim in the house. 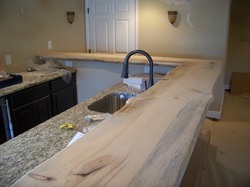 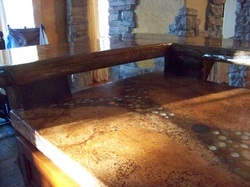 Floating breakfast bar above concrete countertop is 2" thick and 14" wide with both edges natural. 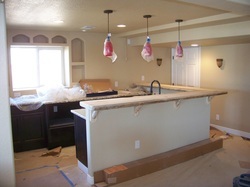 Floating breakfast bar above concrete countertop. 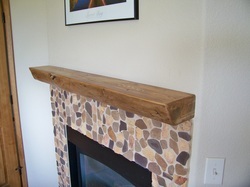 Mantle added after the fact. 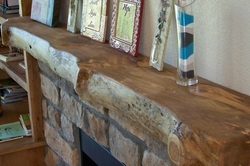 This mantle received a Golden Pecan stain. 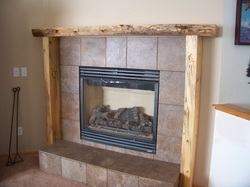 To the left of the fireplace are 2 branding irons made by the customer's grandfather about 100 years ago. 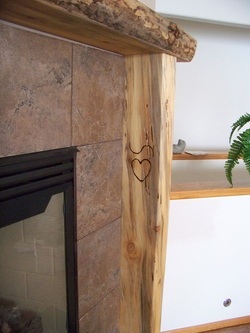 The customer's grandfathers branding irons were used to trace and woodburn their brand onto the legs of the fireplace mantle.